"Location! Location! Location! Welcome to the sought after community Of Glenbrook! 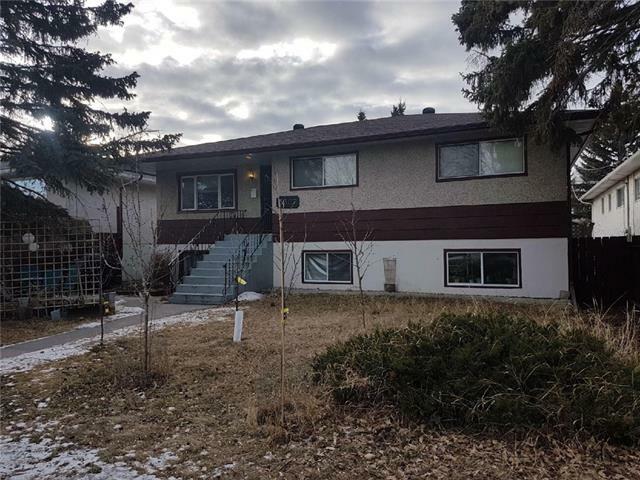 This gorgeous house is designed as a up and down duplex with separate entrance, furnace, hot water tank and separate meters for all utilities. Upper suite has three bedrooms, kitchen and bathroom lower suite has two bedrooms, kitchen and bathroom Bright large windows for both suites. Sunny East-Facing R-C2 Lot. Bright spacious kitchen overlooking your private nice backyard with lots of fruit trees. Large concrete storage room part of the lower suite under a nice backyard deck. Double detached garage With two separate doors and separation wall. Lower Suite is currently rented and has been providing rental income for years. Renters are long term and would like to stay. This is a great investment property with great land holding potential. Excellent access to major routes, schools, shopping & Downtown."